After recently watching a documentary on Netflix about the history of the band Chicago (Transit Authority) and learning about the tragic demise of Rock legend singer & guitarist Terry Kath I’ve been on a YouTube search for some of their early music, especially works featuring Kath prominently. So here for our enjoyment is one of their concerts from the 1970’s as presented on YouTube. I finally watched the entire video over a two day period, as it’s hard to get this much dedicated time online with family chaos abounding…& it is a jazz-rock fusion treat! Hope you enjoy it as much as I have & that we all cultivate an appreciation for some of America’s musical geniuses on display early in their storied, unmatched career! I couldn’t even remember the artists who did this song so looked up some of the lyrics online to find it was done by “The Archers“, a Christian group from “back in the day”. I found this album, Fresh Surrender, at another family’s house, I was there babysitting their kids, & used to play it sometimes on their record player after the kids went to bed. At that time I remember thinking that those parents were pretty cool to have some (seemingly) Christian Rock Music choices in their home. This family has stayed pretty closely connected to my family over the years. 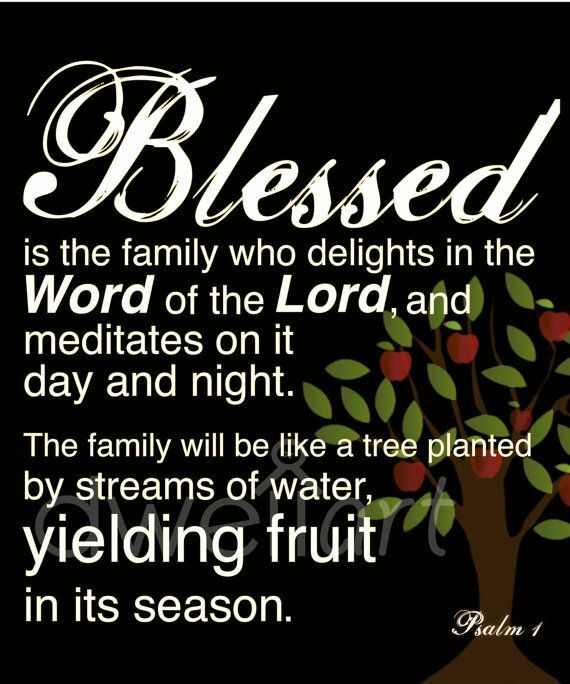 The parents & my parents have been part of a local “Prayer Group” of Christian couples that has been meeting regularly since the 1970s. Several members of this Prayer Group have since gone on to their reward & the Prayer Warriors are now more likely to meet separately as a Men’s Group & a Women’s Group than their former Couples-focused Prayer Group. Many of these Prayer Group Prayer Warriors have been an integral part of Prayer Support for my family over the years. Jon & Judy, whose kids I was babysitting, were also heavily involved in praying for my son, Josiah, & our family during his Liver Transplant process over the years…What a Blessing! I’m so thankful for the ongoing fellowship of faith that is available to all of us. 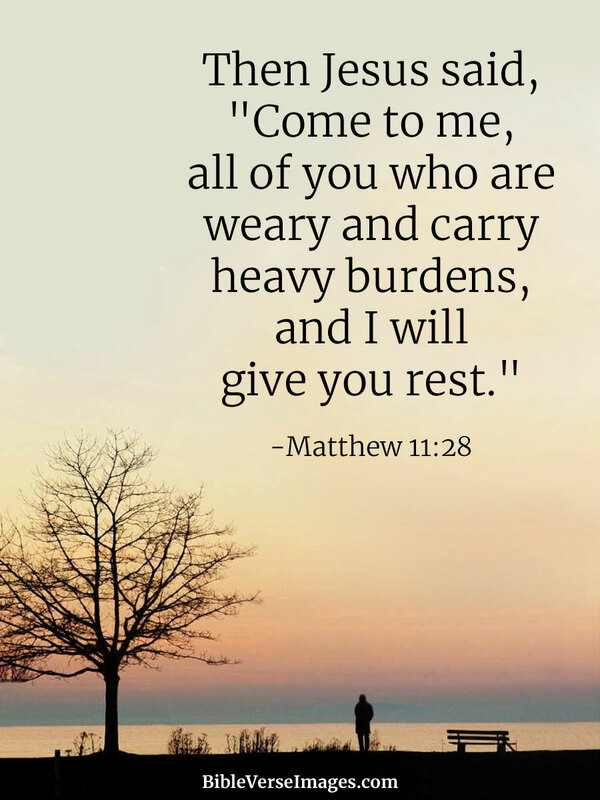 The Lord is permeating the world around us & is calling to us always, if only we have eyes to see & ears to hear, we can connect on a deeply personal level with the Eternal God. In encountering this song again the line “Only seem to heal me deep inside” is the one bringing those misty eyes. I’m so thankful for the tender loving touch of the Master’s Hand! Thank you, Lord, for showing forth Your Love & Grace to me, to us all, always. I’m still developing the JazzmanJournal site so it’s easiest to navigate from the About page currently, or to do a search. If you might be interested in following along further on the journey with Josiah here is where I’m continuing to blog about his medical situation & prayer requests & happenings with him & the family, since CarePages is ending. God Bless YOU! Motor City [Mad(e Wo)man] Baby!!!! 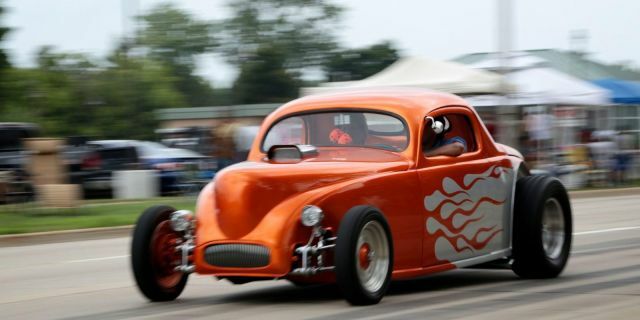 This weekend is one of the premier events of the year in Southeast Michigan – the 23rd annual Woodward Dream Cruise, billed as the world’s largest classic car event. It not a classic car show in the usual sense – it’s a street fair. 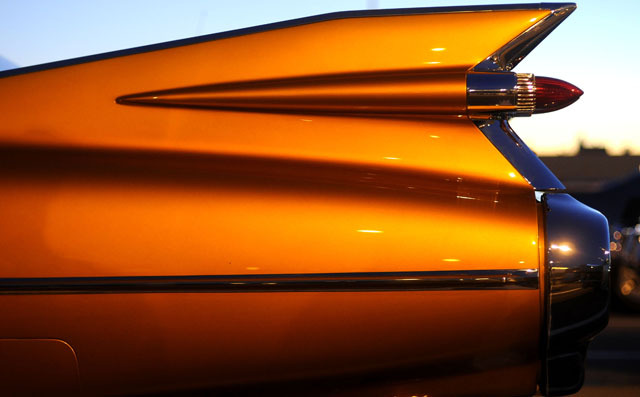 More than one million people and up to 40,000 classic cars are expected to visit Woodward Avenue, between Pontiac, MI and Ferndale, MI. It’s big, it’s fun, and it’s FREE! The Dream Cruise adds at least $237 million to the regional economy according to the Metro Detroit Convention and Visitors Bureau. At least a quarter of those attending are from outside SE Michigan. Major events began earlier than ever this year, with Dodge and Fiat Chrysler’s day of amateur drag racing and other events at M1 Concourse in Pontiac on Aug. 12. Fun & Playful Music Video Find! I wonder if they filmed it on either a tour bus or a train? Looking up Joanna Gaines from the Fixer Upper TV show & found this posting on how to make homemade ice cream, without an ice cream maker. Looks fun & easy & maybe not too hard to modify the flavors. During my Gaylord FHC endeavor the lovely lady currently running this FHC introduced me to a very fun little free tool, that anyone can actually access. This is actually RelativeFinder.org and is hosted by BYU (Brigham Young University), I believe. Although this tool has been available for at least a year (see the below article for details) this is the first I’d ever heard of it…and it was actually quite fun to play with. I plan to use some of the RelativeFinder results to pique the interest of other family members who are less enthusiastic about Genealogy than I am. Since there are a number of intriguing categories available you are likely to find some sub-set of (available) humanity to pique your own interest…and you never know, you just might get bitten by that pesky genealogy bug & join this legion of enthusiastic “infectees”…but be warned, once bitten there is no proven or lasting cure! Well I’m going to have to get back to this posting with an Edit after I can get to a computer with less pop-up blocking so that I can post a couple of examples to potentially whet your appetite…for instance, my husband is a First Cousin to William Shakespeare, though many generations removed! Hey, my son Josiah shared some of his insights about the 4th of July & celebrating near our family’s Cottage in Gaylord, Michigan. There are some lively discussions going on in the Comments Section of his original post, so I wanted to link that post here on my page to find it more easily going forward. There are some beautiful descriptions of Michigan there from people who have visited over the years! It’s so great to find even visitors to Michigan have been blessed here! 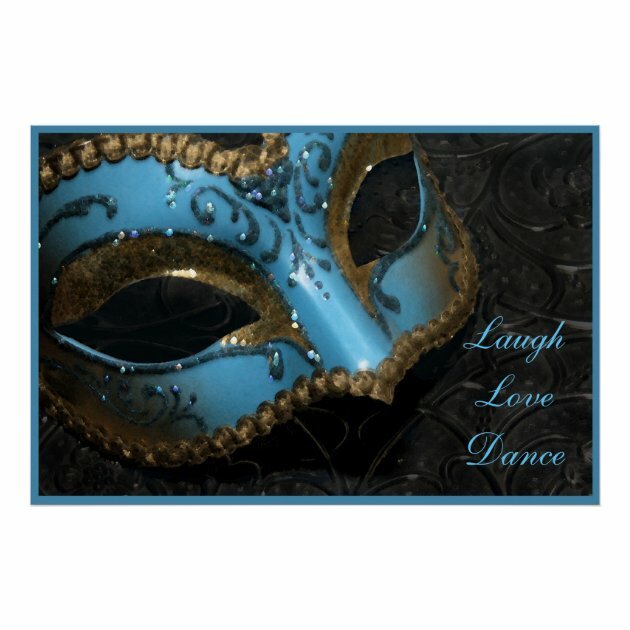 All of what you see below got generated by looking for appropriate images…which led to reminiscing about life & times Up North…Whew, that was fun but also unexpected! This is a picture of Otsego Lake, Gaylord, MI at sunset & that is the very dock used by the street where The Cottage is located & this dock is lovingly maintained by a kind year-round neighbor–image found via a Bing.com image search for “Otsego Lake, Michigan”! 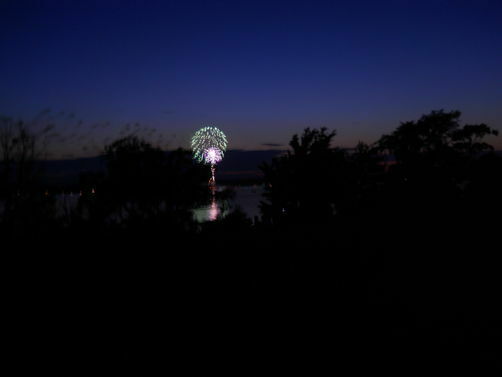 For the 4th of July, Gaylord usually conducts their Fireworks Show from the Otsego County Park shooting the fireworks off over the Lake. We get a front row seat to this majestic & patriotic display from “our” beach. Usually the lake fills with boats so that people watch the show from all angles and situations. After the County show oftentimes there are many neighbors up & down the beach that put on pretty impressive personal displays, even before such elaborate explosives were available in-state. Some of the regular out of state visitors also packed quite a bang-up version of personal 4th displays! From this map of Otsego Lake, you can see that the Lake is roughly 5 miles long and about 1 mile wide at its widest, and many generations of the extended family have taken pride in swimming across the lake–including me! The Cottage is located along the Northern most side of “The Pointe” that is prominent just North of Otsego Lake State Park. If you would bisect that Pointe the Northern half would constitute Arbutus Beach, originally set up as a Public Beach (so the Lakefront property owners don’t technically own the Beach between their property & the water). The Southern half of that Pointe, all the way to Old 27 Highway would be Pine Beach, where Uncle Hugh, Aunt Bernice, & their kids Tom & Karen had cottages. Pine Beach was set up as Private Beach property so that the lake-front people own the Beach down to the water. The other owners in Pine Beach only have water access at a couple of access points, somewhat like at the end of the roads. We actually “slept under the stars” on our cousins’ beach a few times, but that was a more regular occurrence during my Dad’s & Aunt Pat’s Endless Summers of Fun! 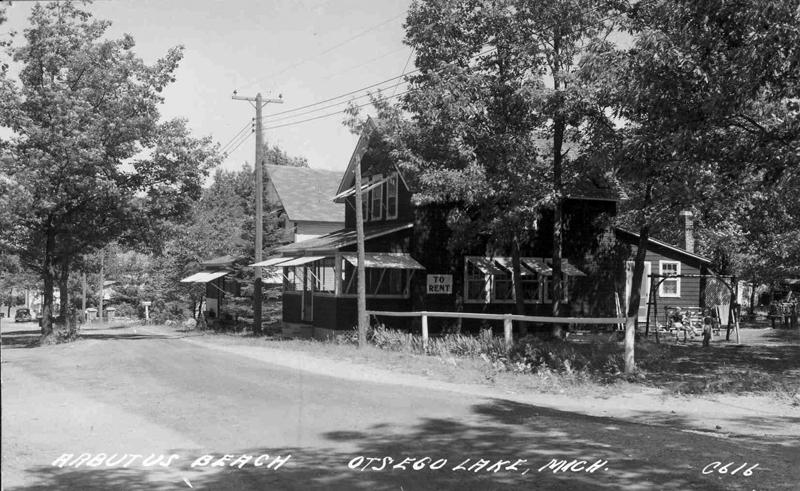 Since my Dad & Aunt Pat, and their cousins Tom & Karen, spent their Summers at Otsego Lake, we get plenty of historical insights & nostalgia about the way things used to be up there. They traveled around with a bunch of similarly aged kids some of whom lived Up North year round and some of whom, like all of them, were Summer Refugees from Detroit, including a gang of kids at the next most northern train stop, WaWaSoo. They speak fondly of the days when there were fewer docks & boats on the lake, like two pictures above. There also were many community events that happened around the lake, at least in the Summer time. There are many ads in the Gaylord Herald Times Newspapers from like a hundred years ago that show the vibrant community life that seemed to revolve around Otsego Lake back in the day (see some links at the very end of this posting)…The below picture is an historical one of the Resort where historically many community events were held, I believe. This is now a private residence with a huge dwelling erected on the former community-centric site. The above picture shows cottages that are on the street set back from the lake and near the top of the hill. You can just see the lake in the distance in the middle left of this photo, beyond the car. This appears to be one of the cottages my great grandparents Rowland Edward & Florabelle Mansell Thompson used to rent to others. The white cottage in the center of the picture was the cottage my great grandparents moved to Arbutus Beach and was apparently the first cottage there. The story goes that they bought the lumber company’s manager’s cottage/office? from the South West side of Otsego Lake. It was pulled by horses over rolling logs across the frozen Lake one winter. Though I couldn’t find a picture showing horses pulling a house across a frozen lake, the size of the logs in the above picture and to some degree the time frame may be representative of the process of moving my Great-Grandparents’ First Arbutus Beach Cottage across Otsego Lake. Also, my Dad’s namesake & grandfather, William Ellsworth Stoddard, found his calling working in lumber, first in Northern Michigan and later managing his boss’ lumber yard in Detroit…WES also had a Gaylord cottage as did several of his children, my Grandpa Elzine Munger Stoddard’s siblings. I guess if you add the above two pictures together, divide by two, and pull the building over ice it Might Approximate what allegedly happened with my Great-Grandparents’ First Cottage! At some time I hope to peruse the historical newspapers from that location & era to see if there might be some mention of this momentous event. It sounds like the kind of local color piece that would have been so interesting to read from that time period. Alternatively I may try to see if the Gaylord/Otsego County Historical Society has some record of this event–and hopefully pictures to go with the account! There’s another couple approximations of that event below…though my great-grandparents’ cottage was bigger (or did it only become bigger later??? )…However this was accomplished, it was likely a pretty big deal and involved quite a few people & animals…I would have loved to have heard the tale from my Great Grand Father, as he was a notorious Tall Tale Teller! After my Great-Grandparents, Rowland & Florabelle Thompson, died one of their Grandsons, Kenny Moore, who lived in Traverse City, owned their original cottage for many years. He sold it to his mother’s brother, Thurman Thompson, who lived in California and would occasionally return to Michigan to visit his sisters Vivian Beatrice Thompson Stoddard (my grandmother) & Bernice Genevieve Thompson (Tom & Karen’s mother–she married Hugh Orr Thompson so basically retained her maiden name as a married woman). After Uncle Thurman died one of his daughters, Mary Louise, inherited the cottage & she eventually moved to Michigan to live there year round. By the way all the names mentioned in the above paragraph, excepting Kenny & Mary, are buried in Fairview Cemetery in Gaylord. My parents recently bought lots in the vicinity of where my Dad’s first cousin Tom was so lately laid to rest. Though I hope that it is still many, many years before we need to put that land to use, it is a comfort to know that Mom & Dad will be buried so near so many of the relations on my Dad’s side and so close to our beloved Cottage. We visited Tom’s grave over Memorial Day and it was a beautiful weather day, though of course bitter sweet in our loss…It was also remarkable the high volume of Military Service represented in that Cemetery, for it appeared that close to half of those graves, going back at least to the Civil War, carried American Flags to honor their Service! This above picture is the cottage that lies between our family Cottage and Otsego Lake–you can see the white “sleeping porch” of Our Cottage behind their side entrance roofing. When I was a child I used to play with the kids who visited there. When Michael & I lived at The Cottage in ’93 & ’94 our Pastor’s wife’s sister & brother-in-law lived there with their family. Later it was bought by a Gaylord native who worked & lived downstate. It recently changed hands and is now a rental cottage for the new owners. The swing & platform in the above photo was erected by our neighbors across the street to accommodate the matriarch of that clan when she comes to visit from Florida. When I was a kid my Grandma & I would sit on the immense log that marked the line between grass & beach to watch sunsets & chat, under where the swing & platform now reside. Virtually every evening my Dad will sit on that swing, with his sister if she’s Up North, or my Mom, myself, or any of the many grand-kids who might be about to see if there will be yet another spectacular sunset display (& I’ve seen many people up & down Arbutus Beach do this too). The white cottage on the left is owned by a lovely lady who also spent her growing up Summers at The Lake, like my Dad & Aunt did. She comes up from Ohio and spends a lot of time Up North throughout the year in her retirement. To the right of the swing (not in the picture) is a small brown cottage that was owned for many years, possibly generations, by one of the families who generated that dreaded & divisive lawsuit. They were from California and the man’s brother also had a place further North within the Arbutus Beach community. The little lake-front gem recently changed hands & is now owned by a couple who live further up the street year round, & maintain that dock in the very top photo above. They turned that little cozy cottage into a rental place & my parents actually rented it one Summer when so many of our clan were Up North for the 4th for extra sleeping & hangout space–it was quite lovely! 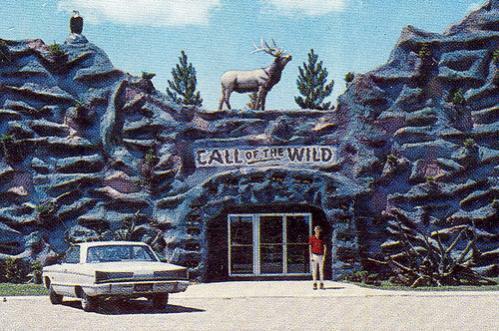 Above is an historical image of the Call of the Wild Museum. This is a dated though fun family outing place, especially on bad weather days. My husband often takes our kids there to buy yet another cool knife from their well stocked Gift Shop. There are many trophy animals on display there including quite a few specimens taken by the legendary hunter, Fred Bear. He was a dear friend & mentor to hunter, rocker, conservative commentator, and “Motor City Mad Man” Ted Nugent. I believe Ted has connections to Northern Michigan, but I think more so to the Grayling area, about 1/2 hour South of Gaylord, where he obtained a lot of Fred Bear’s property following Fred’s passing. I also believe that Fred Bear was a very gifted Archer and even has a particular bow named after him. In our family my husband brought the Bow Hunting tradition to Michigan when we moved Up North as Newly-Weds. He used to get various bow-hunting magazines then & I believe Michigan had more bow hunters than any other state! 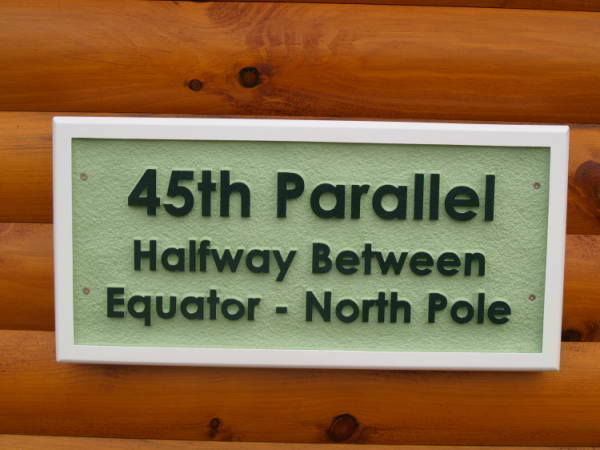 Gaylord is practically perfectly situated for Four Seasons Living, equidistant between the Equator & the North Pole. It is known to have the highest snowfall in the Lower Peninsula of Michigan. The last Winter we lived there, 1996-1997, I believe it had roughly 220 inches of snow! Even so, they did a great job of maintaining the road conditions so driving wasn’t too hazardous, relatively–except, of course, during white outs! There is some picture in the family vault showing The Cottage with snow up to the eaves of the roof, similar to the image below! Well I’ll leave this meandering trip down Memory Lane with another stunning Otsego Lake Sunset! In case you can’t tell, I Love The Cottage, Arbutus Beach, and Gaylord, Michigan & am so thankful that my husband Michael & I began our family there!!! 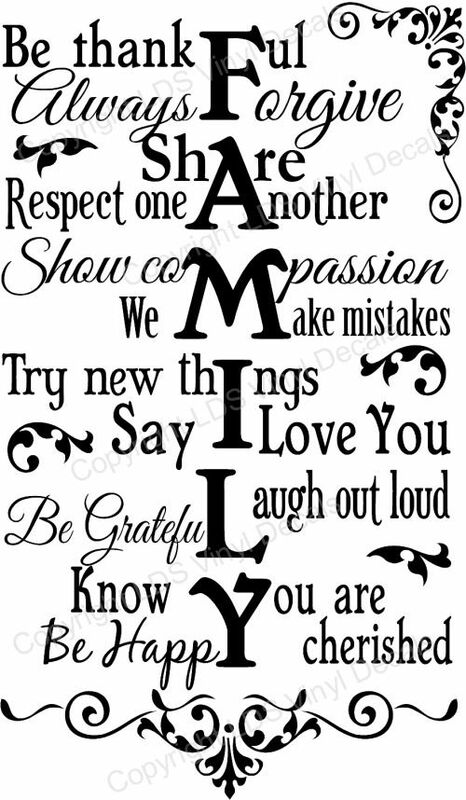 In fact we may have the only Gaylord born relation within the extended clan, in our firstborn, Nathaniel, who was born in Gaylord, and marked on The Wall at just one day old. We gifted him the nickname of Jackpine Savage because of that Northern Michigan birth! The Wall would be the Door Jambs at The Cottage between the Dining Room & Living Room. The Inner-Facing Jamb on the Lake side has my Dad’s Generation & spouses. The Inner-Facing Jamb on the Garage side has My Generation & spouses. The Dining Room Facing Jamb on the Lake side has My Kid’s Generation. Finally, the Dining Room Facing Jamb on the Garage side has my first cousin’s grand-kids–as in my generation’s grand-kids & my dad’s great grand-kids, whenever our side adds to that generation. No one has been marked on that wall immediately after birth except for Nathaniel…& speaking of marking, the Fourth of July is the traditional time to check everyone’s height (including against existing & ancestral markings)…& this year we get to add in our latest family member, Nathaniel’s New Bride, Tara! All our years are written with love in the very fibers of The Cottage! 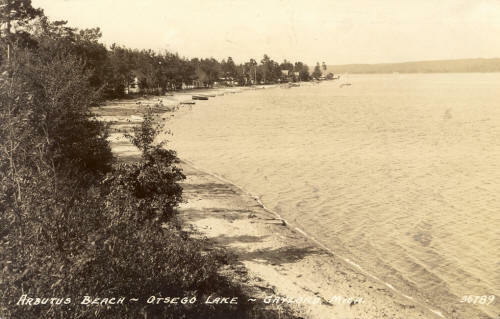 Page 2 of the below newspaper tells of some of the history of Arbutus Beach and speaks so highly of Otsego Lake as a natural beauty filled resort vacation destination–in 1923! The below link goes to the searchable Newspaper Archive for the Otsego County Library!